Trading addictions, also referred to as swapping addictions, is a common problem that many people in recovery experience if they do not receive complete treatment that addresses the underlying cause of the addiction. Trading addictions occurs when you successfully manage to recover from one addiction, but in the process you replace it with another addiction. This happens because the emotional turmoil leading to the original addiction is still present, and has not been dealt with successfully. This is a big problem for people who use a typical rehab program that does not include individual one on one counseling, as well as other methods for a complete recovery without trading addictions. Trading addictions occurs when you successfully manage to recover from one addiction, but in the process you replace it with another addiction. Because the emotional issues have not been treated and healed, trading addictions allows the same emotional effect to be experienced, but with a new behavior as the focus. Some people who overcome a food addiction and lose weight become addicted to exercise instead, and some people find trading addictions from smoking to food is easy. 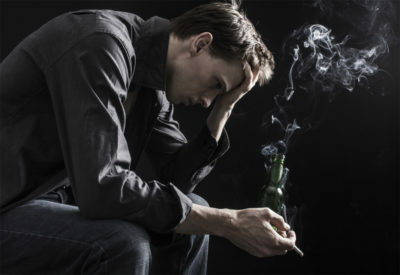 Instead of working on the cause of the addictions, individuals who end up trading addictions simply switch one self destructive activity or behavior to another. The end result will end up the same, with your life spiraling out of control because of this behavior or activity. One of the most noticeable warning signs of trading addictions is getting the same emotional or physical high from a new activity that you did from the original addiction. In some cases the addiction that was stopped may be more harmful than the new one, leading you to rationalize that it is okay to trade off in this manner. The danger of trading addictions when the new addiction is not as damaging is that the original addiction is still, there because the emotional wounds have not been healed. This causes a high risk of relapse. Trading addictions has a number of warning signs, and you should heed these when they occur. The best way to prevent exchanging one addiction for another is to find a treatment program which is successful at treating the underlying problem which is causing both addictions. Valiant Recovery is a treatment center that offers a complete and permanent recovery, without trading addictions, because our program addresses the root of your addiction, as well as the behavior. This is crucial for a recovery that lasts, and a complete cure for your addiction instead of just a transference into another area.